Although the focus of an at-home newborn photography session will be on baby, I encourage baby's siblings to join for a sibling portrait. 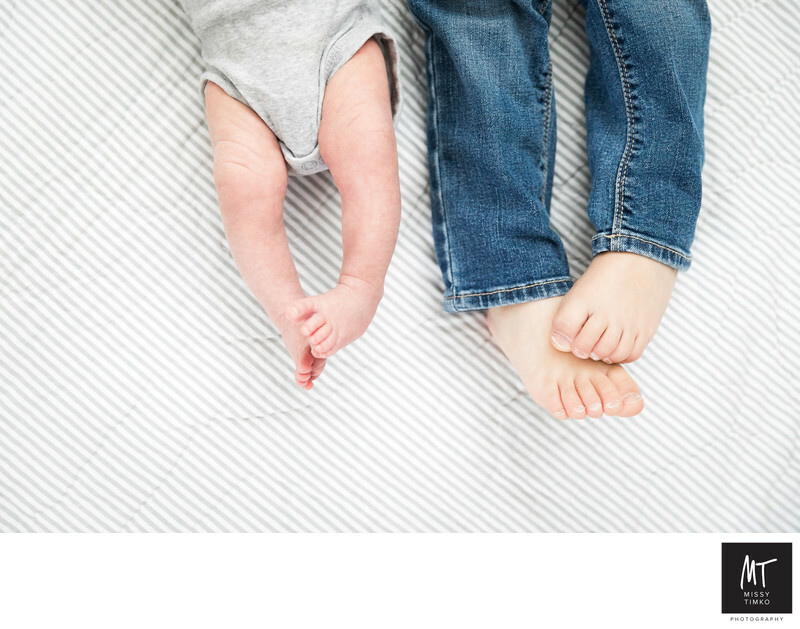 This image captures both baby's and sibling's feet, for a mere moment both sets of feet are mirroring each other in the same position. The newborn and family lifestyle photo was taken at their home in Squirrel Hill, situated in a beautiful location overlooking one of our favorite outdoor shoot locations, Frick Park, Pittsburgh. The image and reflects my clean, natural and uncluttered lifestyle photography style. Location: Squirrel Hill, Pittsburgh, PA 15217.